The ARG free greyhound tips are unbeaten so far this week from four bets and we’re running at over 19% profit on turnover (POT) since 1st July 2018. You won’t find that anywhere else for free. 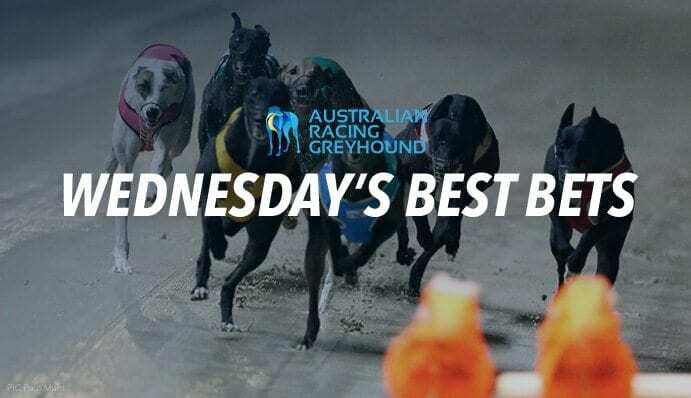 Cappuccino made a big impression at his South Australian greyhound racing debut winning here at that track and distance last week, leading all the way in 30.32. Bound to be further improved and comes up with box two where he has won his only start previously. Has won five of 13 career runs and looks set to have an impact on SA racing. BetEasy have gone up $3.40 while Sportsbet are the best odds right now at $3.50. You will not find a bigger moral than Kanzan at Bulli today. Yes she is short at $1.22 but could easily start $1.08 the win in this. Was going to win regardless; but now has two vacant boxes to her outside and the early pace to take advantage of them. Last start 35.37 Richmond 600m non grade winner so will not be vulnerable in the run to the line. Wins by eight lengths minimum. BetEasy are betting $1.18 with Bet365 being a little braver at $1.20.